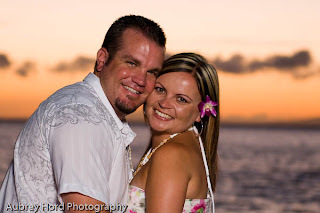 Aubrey Hord Photography: Maui Engagement Photographer - Sarah & Ryan! 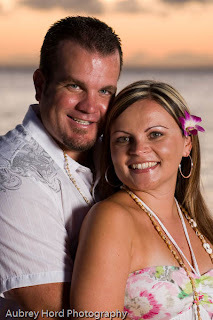 Last week I was super busy with photo shoots and one was really special. 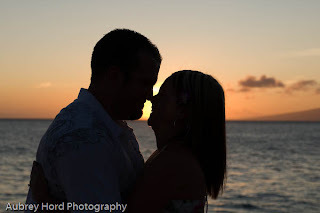 I was honored to be invited to capture a young couple named Sarah and Ryan from Southern California who had just gotten engaged 2 nights earlier on Maui. 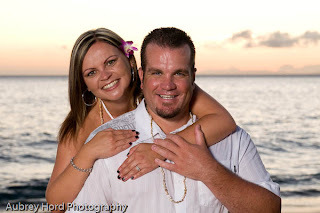 We made a mad dash for sunset while they popped out of the Royal Lahaina Luau and took some fun photos on the beach. 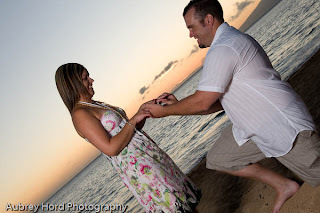 We even had Ryan re-enact his proposal to Sarah on the beach. We made 30 minutes on the beach feel like 90 and had a great time.